Lake Misurina effectively marks the starting point of the short climb up the Tre Cime di Lavaredo. Though brief in duration, it’s nevertheless something of a horror movie with a perverse sort of ending. Maxing out at 19%, its average gradient over the final 4 kilometres is 12%. Intimidating after riding 19 kilometres from Cortina d’Ampesso, via the Passo Tre Croci, but far worse if it’s the climax to an exhausting 200-kilometre-plus professional race like the Giro d’ Italia. 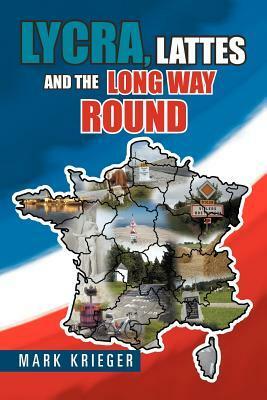 But for 500 metres near 12%, the first 4 kilometres of the climb are not much harder than riding along a flat road. 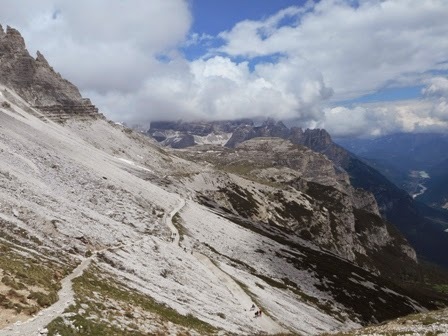 But it’s the Tre Cime di Lavaredo’s final half that, besides its striking beauty, gives the climb its legendary status. Averaging 12% and maxing out at 19% two-thirds of the way to the top, you’re now in preposterous territory, the likes of Spain’s Alto de’ l Angliru and Australia’s Mount BawBaw, where your legs feel like jelly and your lungs heave for air. I don’t remember much more of the climb, only how I hovered between 6 and 8 kilometres per hour for most of the final 4 kilometres, and that when I had the energy to look up the views were spellbinding. 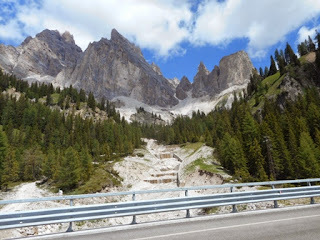 While now a fabled climb with a near 50-year history in the Giro d’Italia, the Tre Cime di Lavaredo’s introduction to the Italian Tour was tainted with controversy. First climbed, in woeful conditions in 1967, race organiser Vincenzo Torriani declared the stage 19 race null and void, after riders collectively grabbed onto team cars or were pushed by spectators all the way to the top at the Rifugio Auronzo. The eventual winner, though to no avail, was Felice Gimondi, who immediately after the race was over, paid out on his fellow Italians for their 'despicable pushes'. visible along the steep valley road. Ironically, given the sport’s drug-addled history, the climb’s inclusion the following year led to speculation that riders would be even more tempted to venture outside the rules. 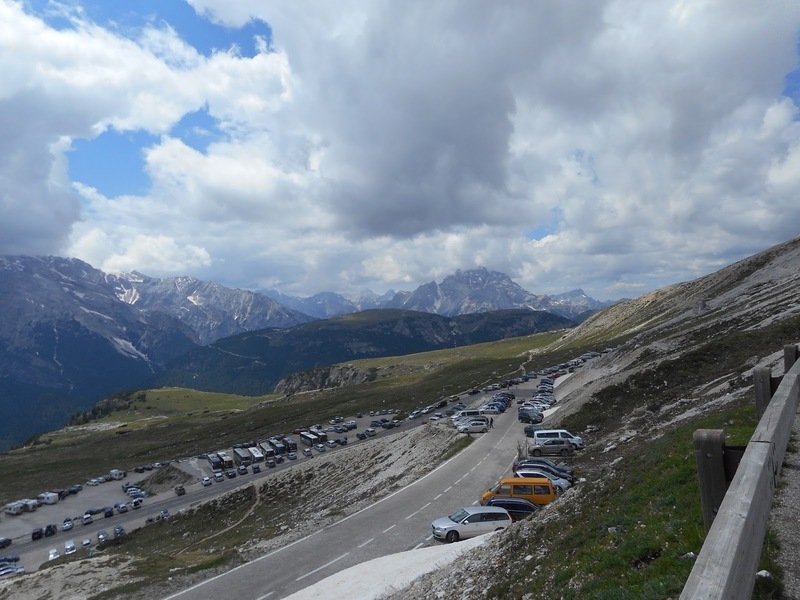 Meanwhile, rather than promote the 213-kilometre stage 12 race from Gorizia to the top of the Tre Cime di Lavaredo, the local media urged spectators to restrain their roadside behaviour. As a precaution, police lined the sides of the roads leading up to the summit. Despite the heavy rain that had turned to snow by the time the stage reached the Dolomites, the race did not reach the calamitous proportions of the year before; certainly not for young Belgian rider, Eddy Merckx, who from the bottom of the climb launched himself to soon become cycling’s greatest-ever rider. Three years after cementing his Giro d’ Italia victory on the Tre Cime di Lavaredo, Italian cyclist Vincenzo Nibali is again favourite to win the race. Now lying in 5th place and with the big mountain stages later to come, he’s already working himself into a good position. 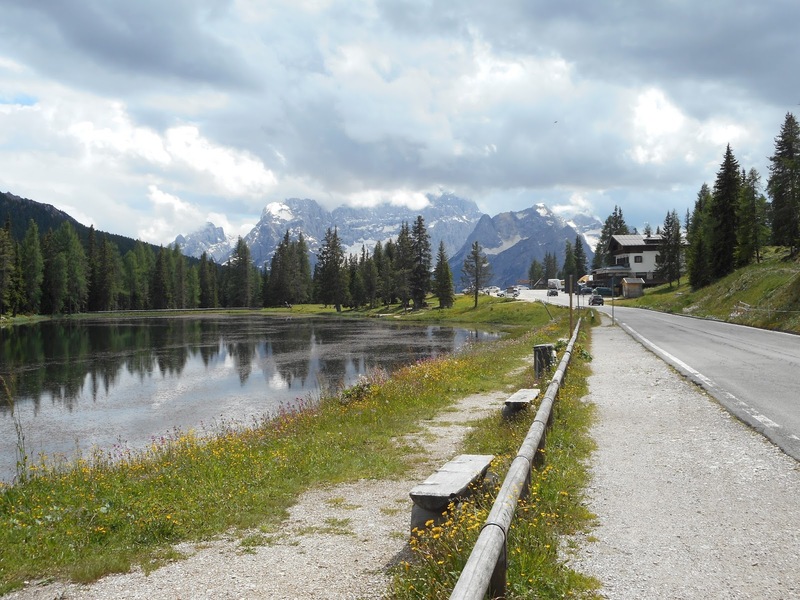 2013 marked the second-last appearance of Australian cyclist Cadel Evans in the Giro d’Italia. 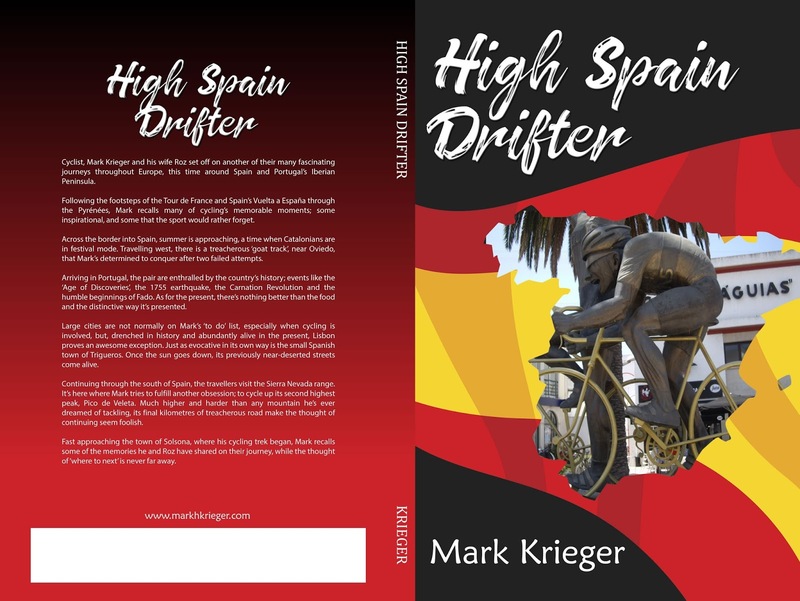 That was the year he emerged out of the snow and sleet up the Dolomite climb in 14rd place, leaving him a further 90 seconds behind Niboli and Colombian cyclist Rigoberto Uran. 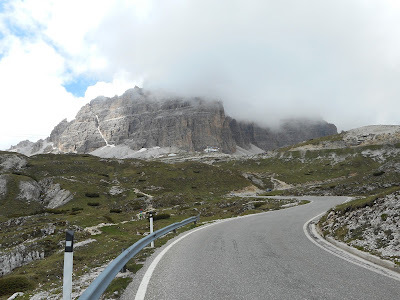 That was also the year that the 19th stage was cancelled due to snow and sub-zero temperatures, while the next day’s stage (finishing up the top of the Tre Cime di Lavaredo) was stripped of three earlier climbs due to the horrendous conditions. Evans maintained his third place when the Tour finished in Brescia the next day, while the next year, in his final appearance in the Giro d’Italia, he went on to finish a determined 8th. 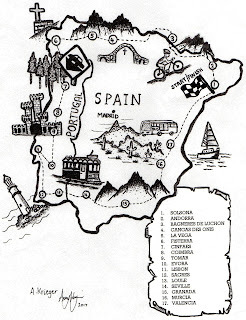 “All journeys have secret destinations of which the traveller is unaware”.